Although Michael & I were able to get some of our discussion in,tech problems have forced us to reschedule to Sunday July 29th at 9pmET. Michael Dalton Johnson will be on to share his wisdom and exerpiences that have led to his incredible success in sales and in business. Michael Dalton Johnson is an award-winning trade book and magazine publisher and a successful entrepreneur with over 30 years of business leadership. He is also the founder of SalesDog.com, an educational and marketing website for sales professionals, marketers, and business owners. Johnson has been featured in leading publications, including U.S. News and World Report, Time, The Economist, The Wall Street Journal, Los Angeles Times, The Washington Post, and The New York Times. 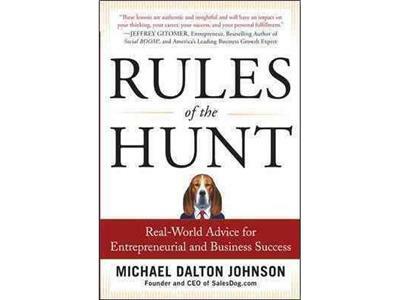 In addition to SalesDog.com, Johnson has founded several successful businesses and is the editor and publisher of Top Dog Sales Secrets: 50 Top Experts Show You Proven Ways to Skyrocket Your Sales. Before SalesDog, Johnson served as director of development for an international technical publishing and marketing company, which he took from three employees and two products to a multinational corporation with hundreds of employees and over 100 products. At the age of 15,he dropped out of HS to take a full-time job. He joined the Army at age 17. After his service in the military, he worked as a ranch hand, factory worker, and construction laborer before venturing into the business world. He has never taken a business course and brings an unpretentious outsider’s view to the subject of business. The father of five, he and his wife Kathryn make their home in Rancho Santa Fe, CA.